Mhmm, breads in Hong Kong, Super tasty! Therefore I don't mind eating bread at all instead of rice/noodles for lunch. 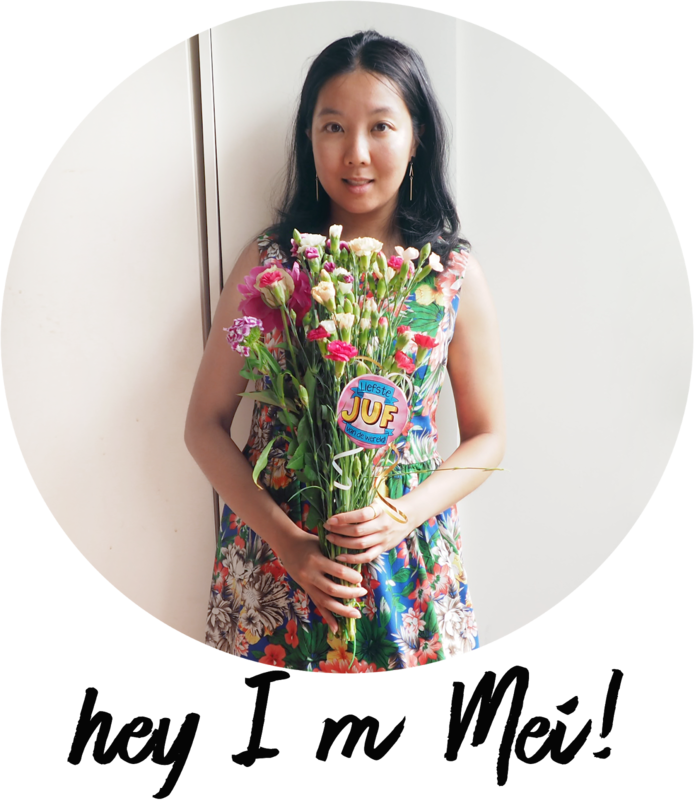 Unlike my HK family who always eat rice/noodles for lunch and gained worries for me while I only eat bread, thinking I get hungry all the time and lose weight. I can assure I am not underfed and totally not losing weight. It's more the opposite of it but then again I'm in a food mecca place called Hong Kong. My HK family just don't understand that I eat bread all the time in Holland! It's very ok lah! 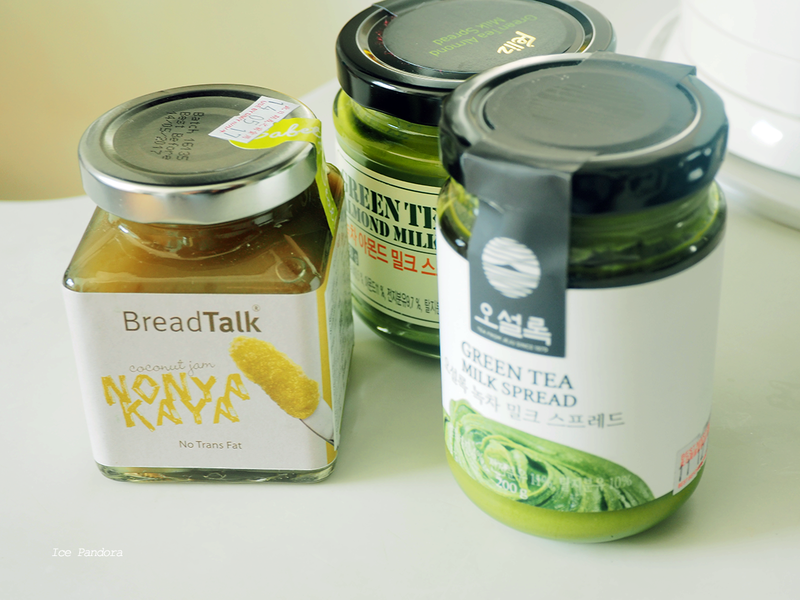 Every morning I always go out and buy bread then I came across a few new, unseen food: green tea and coconut spreads. 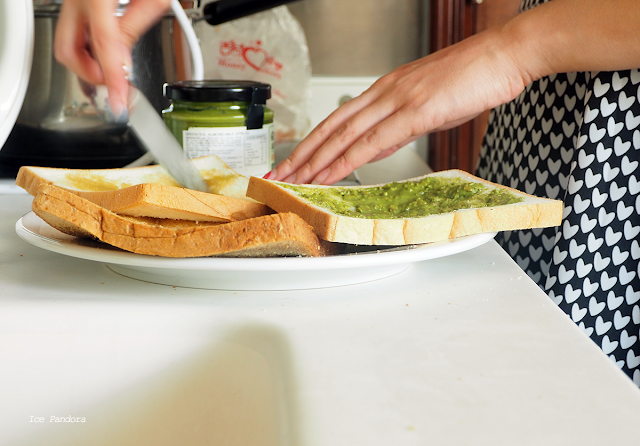 That morning I came home with bread and new bread spreads and I'm testing it out for you guys in this blogpost! Mhmm, brood in Hong Kong, onwijs lekker! Daarom vind ik het natuurlijk niet erg om brood te eten in plaats van rijst/noodles bij de lunch. Mijn HK familie vindt het maar raar dat ik alleen maar brood eet in plaats van rijst/noodles en zijn bang dat ik continu honger lijd en gewicht verlies. Ik kan je verzekeren dat ik niet ondervoed ben en zeker geen kilo kwijt ben geraakt. Het is eerder de andere kant maar goed, ik ben natuurlijk ook in Hong Kong, een walhalla voor foodies zoals ik. 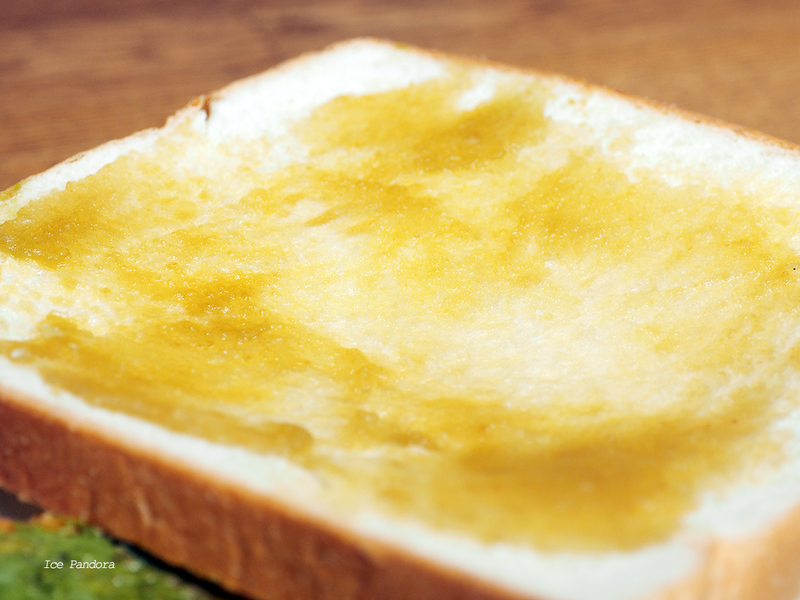 Mijn familie weet niet dat ik elke dag brood eet in Nederland. Dus het is ok lah! 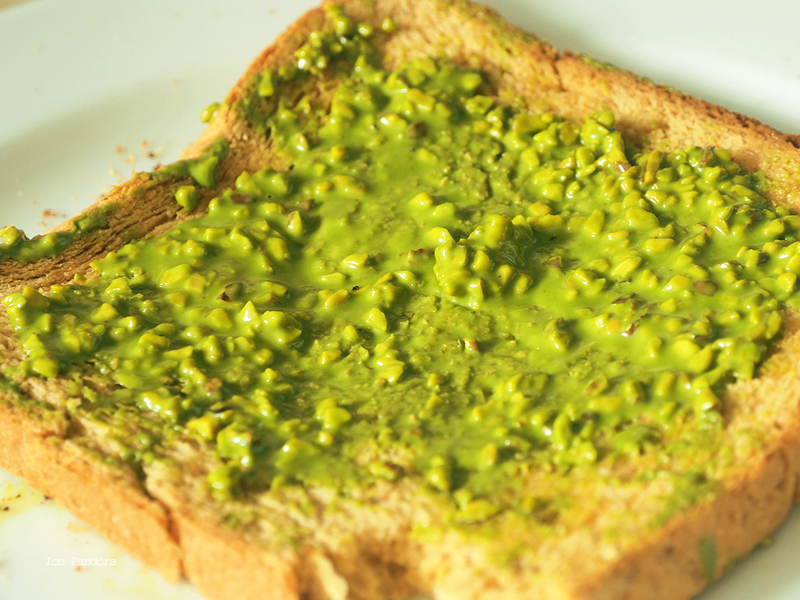 Elke ochtend koop ik dus brood en op die ene ochtend kwam ik allerlei nieuwe dingen tegen, namelijk: groene thee en kokos brood smeersels. 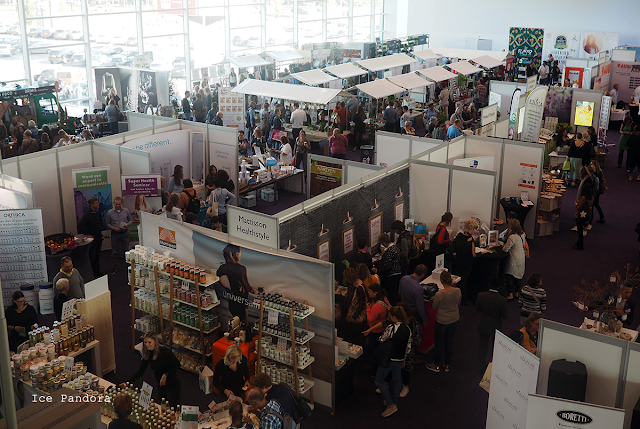 De blogpost van vandaag gaat dus over deze smeersels, scroll daarom snel naar beneden toe! 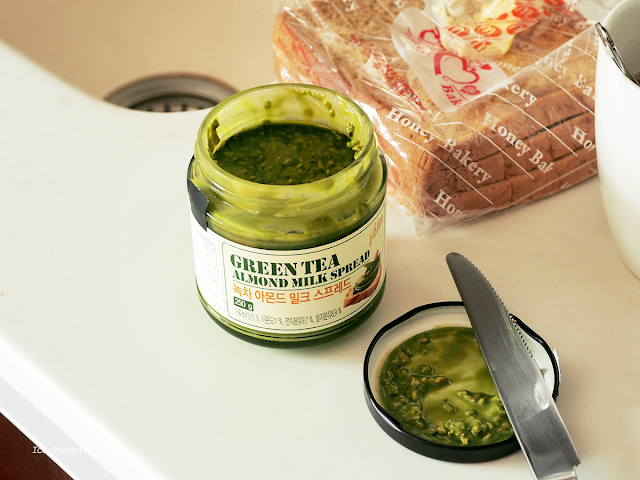 This is a green tea spread with small chunks of almonds in it and it taste really delicious on toast! It may look a bit icky when you opened the pot and see the chunks floating around (thanks to the HK weather) but once you pop it back in the fridge it will look better with a solid texture. Or eat it blindfolded, it will still taste amazing. I promise. 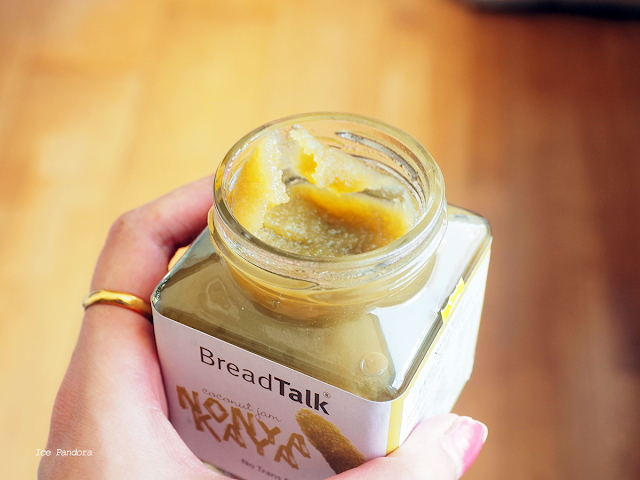 Nonya Kaya jam or in other words: coconut jam and it is something I have never ever seen let alone eaten in my life. I have bought this jar at Breadtalk bakery (HKD 29,-) and became curious and bought one. O boy this stuff is amazing as well! It has coconut and pandan flavor in it but not too strong. I like the fact that no preservatives were added to but please consume it within a month! 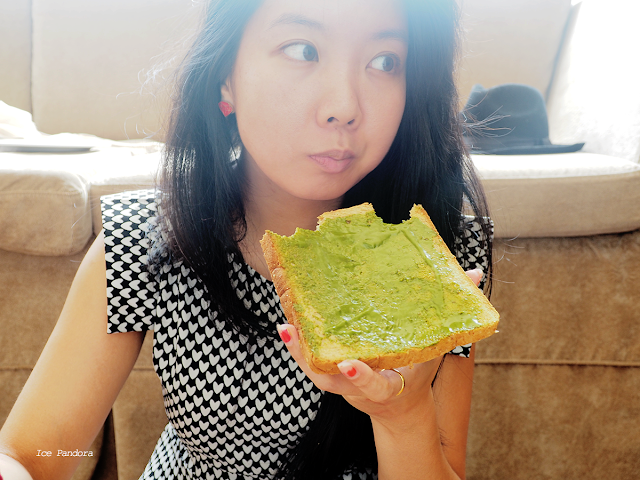 Then lastly another green tea flavored spread but this one has no almond chunks in it. As you can see the content has sunk down to the bottom leaving all the oil on top thanks to the warm HK weather but fear not! Just mix the content all together and make sure to pop it back in the fridge afterwards. 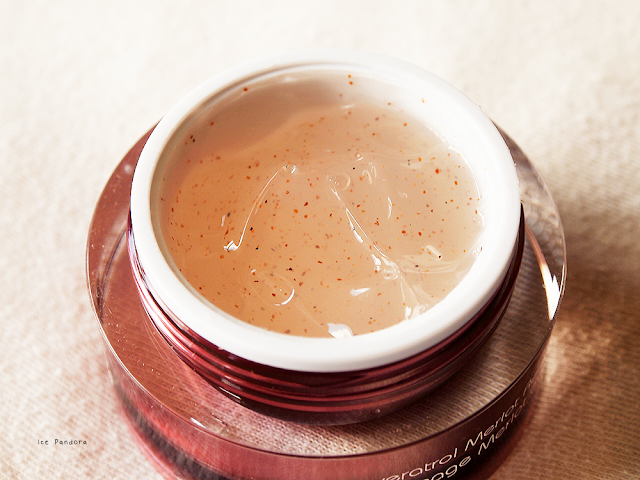 Again, this spread is not a failure too and taste as smooth just like Nutella. But without the chocolate and hazelnut taste of course. Which matcha matches the best? 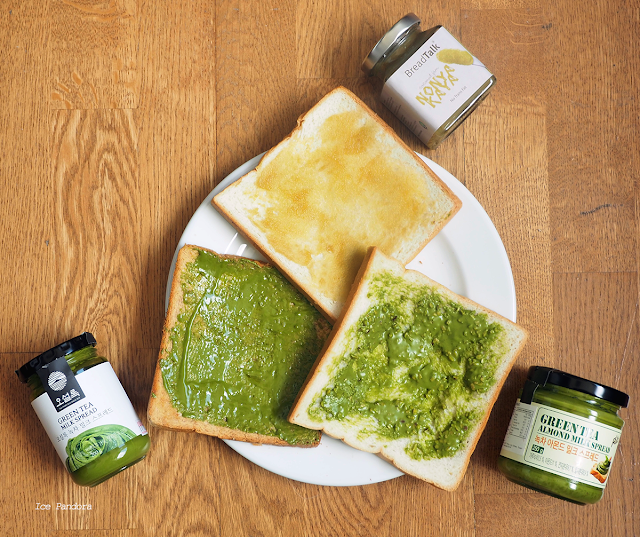 So, crucial question: which green tea spread is the best? They are both very nice, very sweet and if you`re a matchalover like me then I`m 100% sure you`ll embrace them. 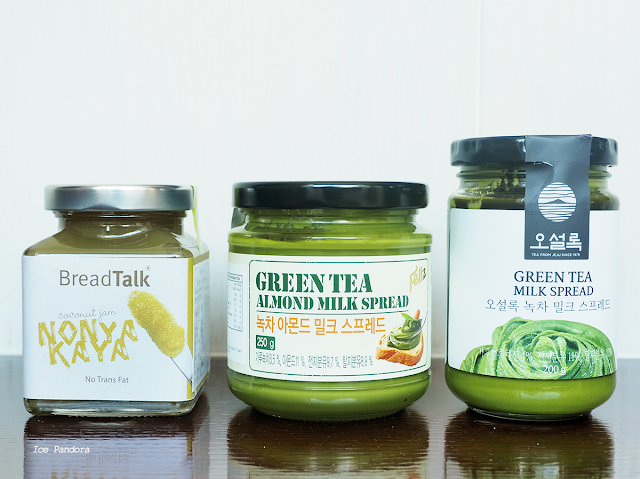 But if I had to pick one out of these two then I`d go for the green tea almond milk spread with a slight preference because I love almond too and this one is cheaper as well (the almond one cost HKD49,- and the other one HKD68,-). 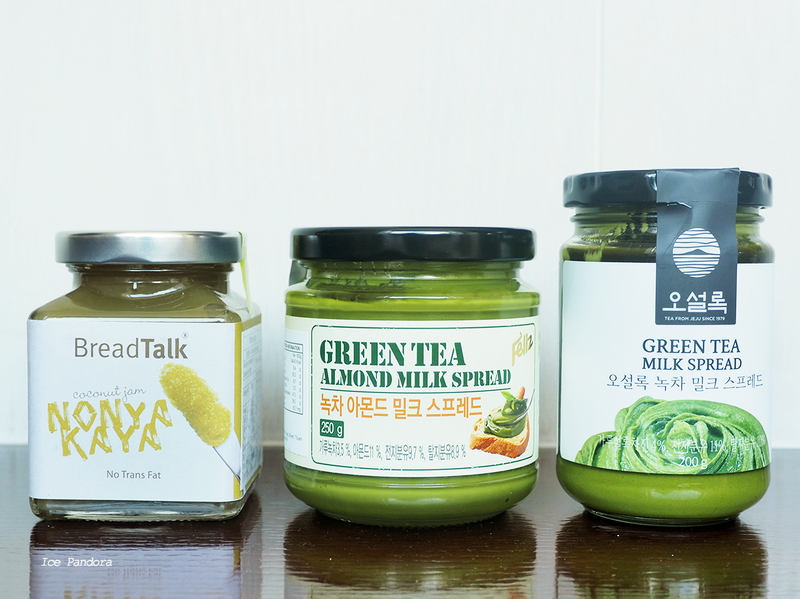 Green tea almond milk spread: made in Korea, almonds are from US. 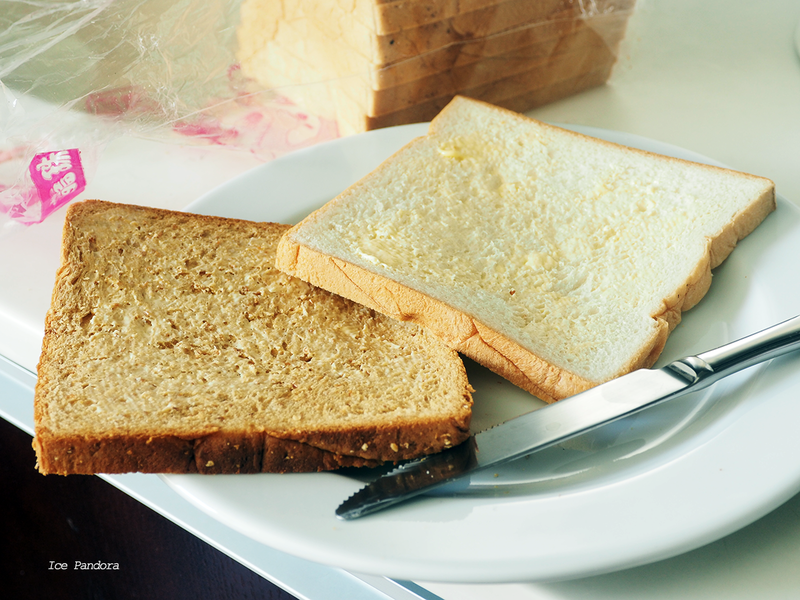 But frankly, I am just happy that I have found new spreads for my everyday bread. Well that sounds like an interesting combination! The green tea with almonds spread sounds really good! Hey, could you please tell me where in Hong Kong you bought these from? My in laws are in hk and I was hoping to ask them to bring it back for me. Thanks! !